We live by the philosophy “we simplify your journey to the cloud.” This is the essence of everything we do; from solution architecture to customer support. 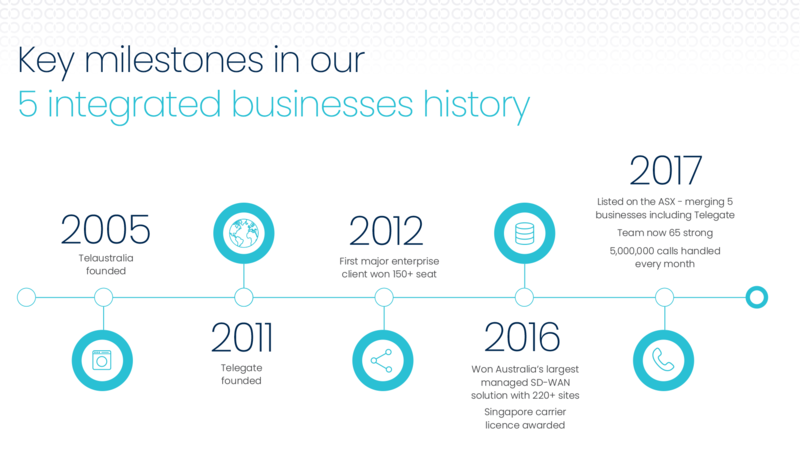 We provide a fresh approach to innovative, vendor neutral managed network services and hosted voice for ANZ businesses to optimise costs and improve performance. Our proven onboarding capability, experience and remarkable service delivery help link you to your customers. All of this allows you to focus on your core business and grow. Our global, full-featured communications platform is hosted in 25 locations around the world – covering countries across APAC, Europe, North and South America plus India – providing greater flexibility and true global collaboration through a unique integrated platform regardless of your distributed locations. Providing high quality, secure communication solutions to a diverse global workforce has never been easier. Transform your enterprise communications using a single, reliable provider operating global voice and data networks. Quick to deploy, simple to use. As a disruptive technology provider we focus on our customers adopting the solutions we deliver so they realise the maximum benefit. Pay attention. Carrier neutrality is an essential factor in delivering network availability. We’re not burdened by selling our own network like a traditional telco, so we select the best local providers for your solution. Focus on your core business and leave the boring stuff to us. We’ll provide secure, reliable network connectivity to enable your business to grow. All on the one bill. Combine the benefits of hosted voice and collaboration with a turnkey managed network service – and you can comfortably reduce costs. We live by the philosophy that ‘we simplify the journey to the cloud’. Simplicity is the essence of everything we do. From solution architecture to customer support; we deliver great outcomes for our customers and a great customer experience. Every day at CommsChoice we are guided by our core values. Whether we’re brainstorming new, innovative ideas; negotiating on behalf of a customer; or just fixing a problem, we use these values to drive us forward. That’s what makes us different. We tell it like it is. We don’t dress things up — or sell you the unattainable. Everyone else says this, but we mean it. We focus on a suite of products and make sure we’re great at what we do. We do what we say we will – consistently. We love what we do, you’ll sense that in the way that we engage.